As you read through the Bridgeware website , you will realize you have found the leader in providing a comprehensive staffing software product, and unbeatable when it comes to being a software support company. 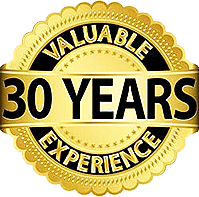 30 years serving the staffing industry, exclusively! Staffing Software is our company’s single focus. Every software feature, from our initial product to the latest upgrade, has grown from an ongoing consultation with our staffing industry clients. Those staffing industry relationships, together with our single focus on the staffing industry has resulted in a superb staffing software product; TempsPlus. When you add Bridgeware’s excellence in data conversion, training, support, and customer service, and ongoing software development, you have the major reasons for our incredible Client Retention Rate. At Bridgeware Systems, training and support continue to lead the industry, from on site installation and training, off site training accommodations, video training, and training on-line, to a 24/7/365 in-house tech support (no 3rd party contractors!) Bridgeware delivers! We also provide additional client support, including a comprehensive queries library,software updates, always current W2 & tax calculations for 50 states and Canada, standard and custom report formats, automatic tax submission formats, documentations, & much more! Bridgeware Systems, Inc. has been a true pioneer in the staffing industry, keeping the cutting edge in Staffing Software for over 30 years.